This started out as Johnny's personal blog in 2008 during his first trip to Thailand. It was one of the first blogs of its kind and was dedicated to traveling around Thailand and finding the best Muay Thai and MMA gyms to train at. As a normal guy who found his passion for Muay Thai, Johnny trained at some of the best gyms all across Thailand including the famous Tiger Muay Thai, Team Quest, and less famous Thai style gyms. He was also one of the first guests at Phuket Top Team and started training there before the gym had even officially opened. He even had a few professional Muay Thai fights while he was out in Thailand. Because of popular demand and a lot of people asking the same questions regarding the cost of living in Thailand, what the best Muay Thai gyms are to train at and the differences between training at Phuket Top Team and Tiger Muay Thai, Johnny decided to write the book 12 Weeks in Thailand: The Good Life on the Cheap which has quickly become a top rated book on Amazon. 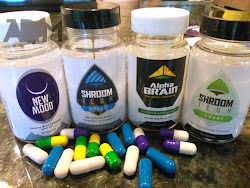 I plan on taking a trip and am wondering about working remotely. 60 - 70% of what I do I would be able to do if I could get fast internet. What are the internet speeds like there? What would I be able to get in my living quarters (if I wanted to work a solid 3 - 4 hours a day)? Hey, fast internet is getting more and more standard across Thailand. In Chiang Mai I never have a problem working 3-4 solid hours a day, but I usually do it out of a coworking space instead of my room. Check out my blog www.JohnnyFD.com and read about what it's like to work in Thailand online. I would do 3 months, that's the perfect amount of time to get in shape, learn the skill and take your first fight. 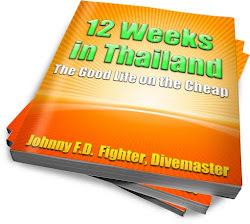 Read the book at 12WeeksinThailand.com for a glimpse of what life would be like training and fighting.